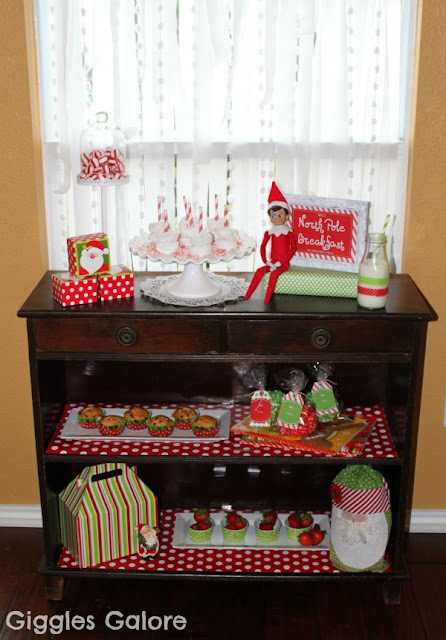 Our North Pole Breakfast has become an annual tradition to welcome our Elf on the Shelf, Zippy. 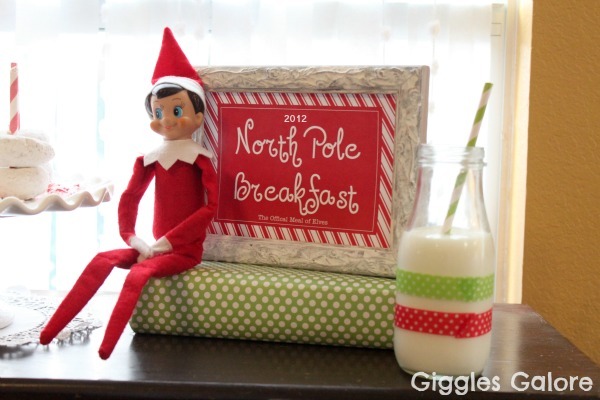 My kids really look forward to Zippy’s arrival and I love their contagious giggles that fill our house when they wake up to see a special breakfast waiting just for them. 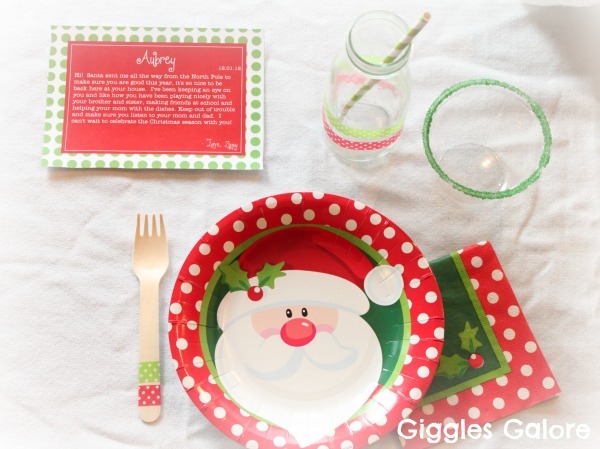 I found adorable Santa plates at Hobby Lobby and decided to use those as my inspiration for our special breakfast. Using store bought items and things from around the house I put this breakfast together after the kids went to bed. I set the stage for a winter scene by taping white streamers and snowball garland to the window. I moved the shelf from our hallway in front of the window to display all of the goodies. 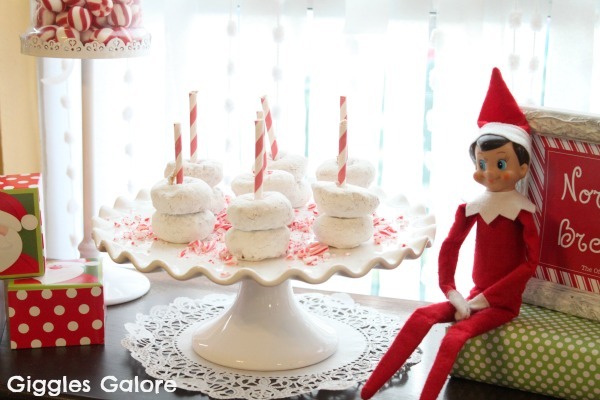 Zippy brought us white powdered donuts, triple berry muffins, elf punch and jumbo peppermint marshmallows. 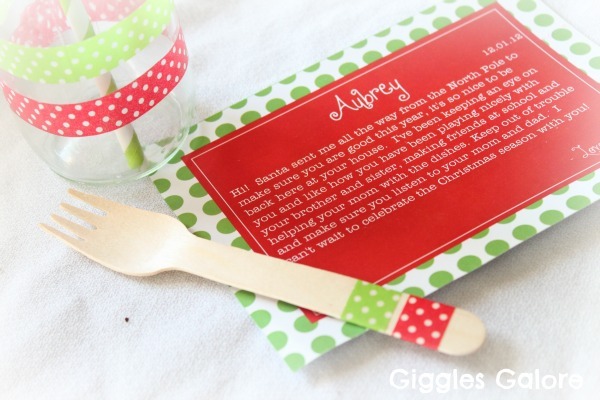 Our elf Zippy wrote each of the kids a personalized note on the super cute Elf on the Shelf printables from 505 Design + Paperie. Zippy also brought the kids new coloring books and Christmas popcorn balls. 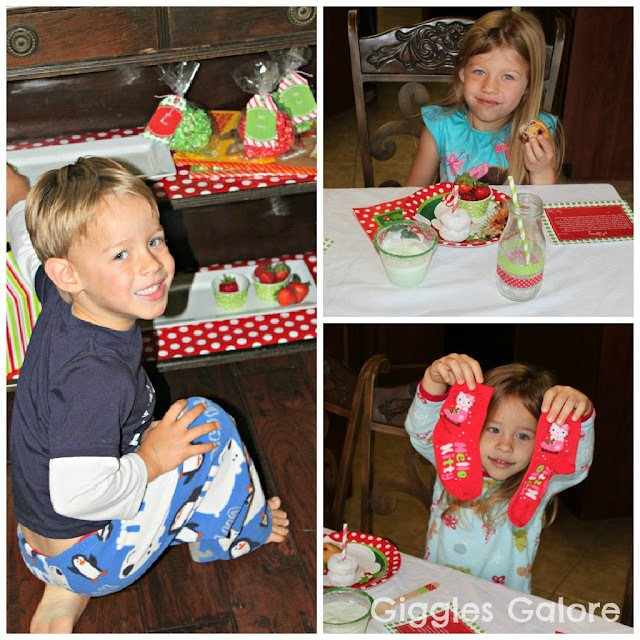 In the cute little treat boxes from Hobby Lobby they found new Christmas socks to keep their toes nice and toasty this season. It was such a magical morning and a great way to start the holiday season. Do you have any special traditions or fun memories that include your Elf on the Shelf? 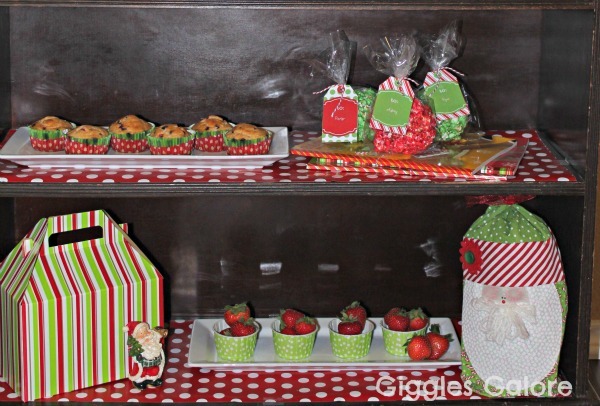 For more ideas and inspiration check out our North Pole Breakfast from 2010 and 2011. So cute! I will have to remember this for next year! So cute! 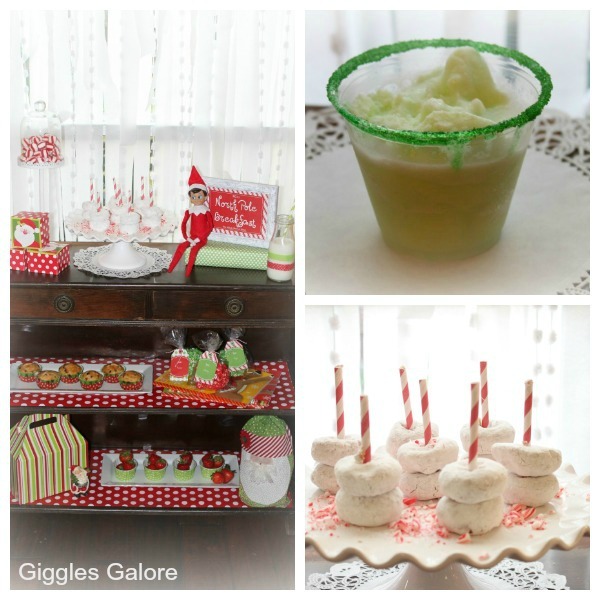 I am co-hosting the Ultimate Elf on the Shelf Link Party and I'd love for you to come link this up! 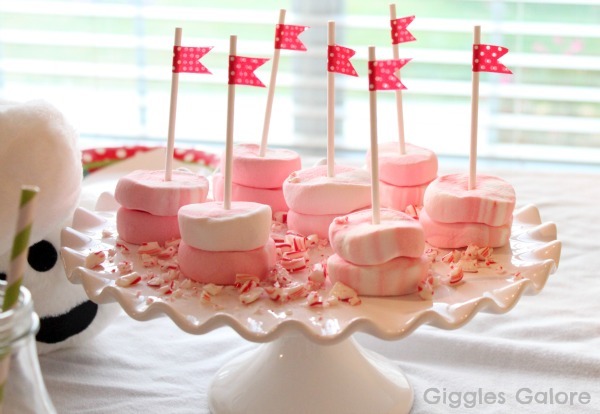 I am following you via GFC, Pinterest, Twitter, & Facebook. 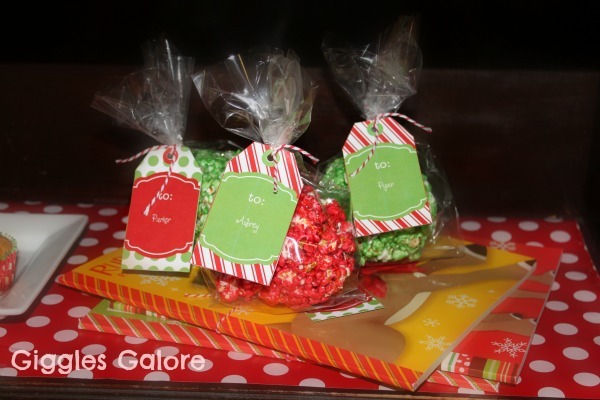 What a great tradition … your kids must love it! HI! I found you on the bloghop and am your newest follower. I was kinda maybe sorta hopin' that you'd hop on by and follow me back! !